A comfortable, included charter flight from Buenos Aires to Ushuaia starts you off on an epic journey to 66 degrees south. Crossing the Drake Passage, an adventure in itself, is an opportunity to engage with expert on-board lecturers and get to know your fellow travelers. 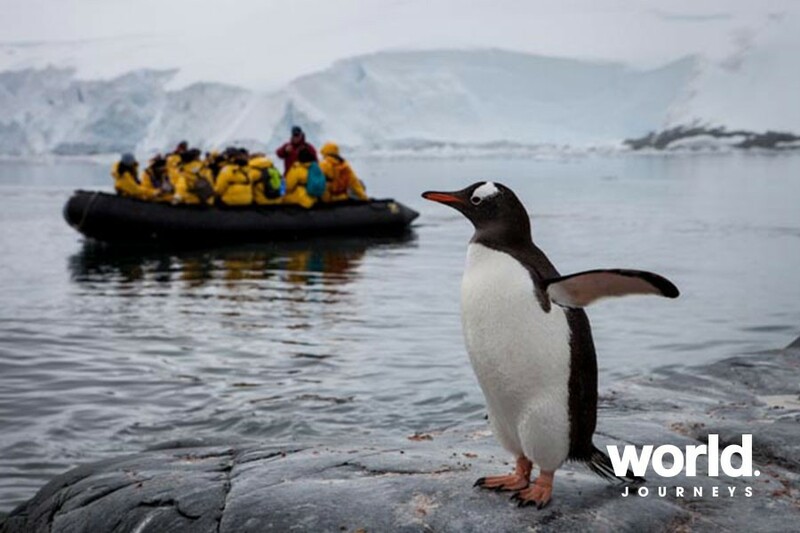 Approaching the Antarctic Peninsula, you'll wonder at the sheer scale and scope of the icebergs, mountains and stretches of polar beaches, dotted with seals and penguins. 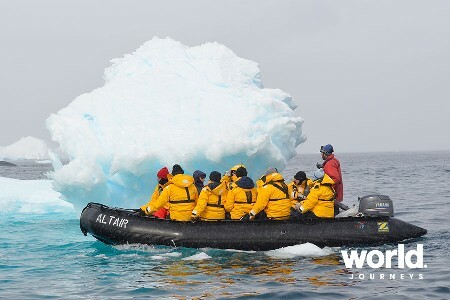 This exploration will take you further south still to cross into the Antarctic Circle, a privileged achievement you'll celebrate with your shipmates. 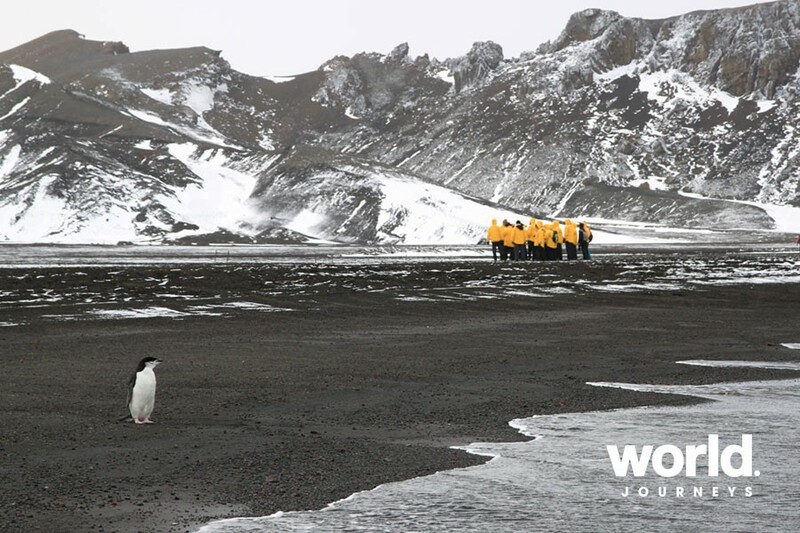 Equal parts unpredictable, exciting and awe inspiring, your Antarctic adventure will impart in your memories to last a lifetime. Your Ship: Ocean Endeavour Ocean Endeavour is a comfortable, well-appointed small expedition ship expertly engineered to explore the Polar Regions. It features an ice-strengthened hull, Zodiacs for exploration and remote landings, generous deck space and advanced navigation equipment. The ship has many superb amenities including a nautical lounge, two restaurants, sundeck, and plenty of deck space for observation of polar landscapes, and lounges for learning and reflection. The ship's interiors have a contemporary aesthetic that provides a bright and spacious feel to the cabins and common spaces. Your Ship: Ocean Diamond The Ocean Diamond is a modern, stable super-yacht, and one of the largest of our small expedition ships. 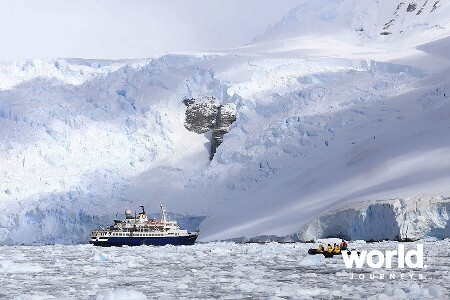 Carrying a maximum of 189 passengers, and with two stabilizers and an ice-strengthened hull, this outstanding vessel is ideal for polar expeditions. Your ship: Ocean Adventurer Ocean Adventurer (formerly known as the Sea Adventurer). 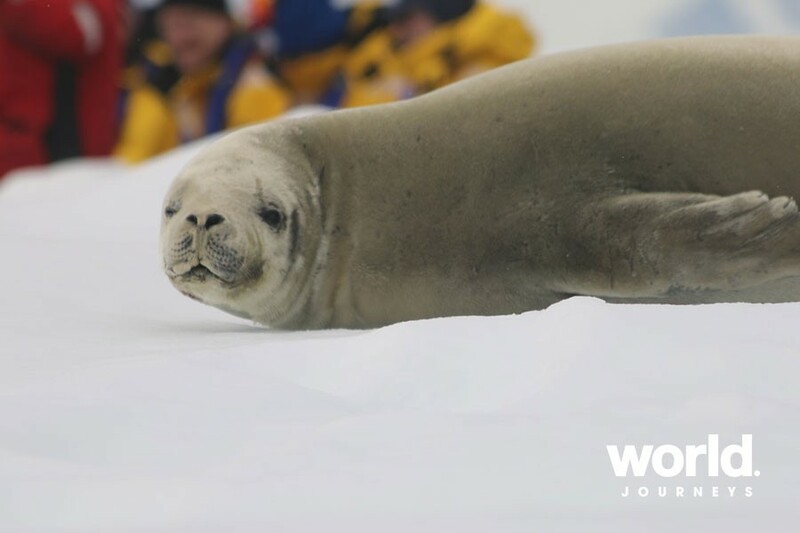 As of June 2017, Quark Expeditions' much beloved polar expedition ship the "Sea Adventurer" will be undergoing a multi-million-dollar renovation and be officially renamed the "Ocean Adventurer". • A refreshed, contemporary new look and feel throughout the ship. • The addition of six new twin cabins and three new suites. • All existing cabins will be furnished with all new soft furnishings and brand new bathrooms. • Main common areas such as the Lounge and Dining Room will be remodeled as well as the Bar. • Major technical enhancements - include two new Rolls Royce engines, which will significantly increase fuel efficiency and minimized carbon footprint. Day 1: Buenos Aires, Argentina You may arrive in Buenos Aires at any time during Day 1 of the itinerary. Upon your arrival in Buenos Aires, you will independently transfer to the group hotel (pre-night hotel included). 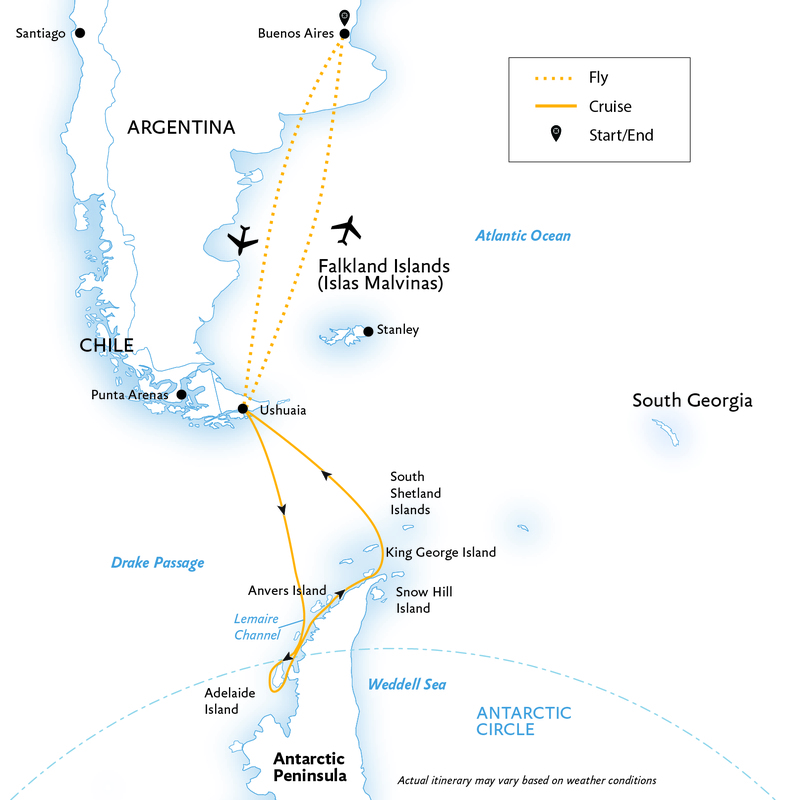 Day 2: Charter Flight from Buenos Aires to Ushuaia, Argentina and Embarkation After breakfast at the hotel, the group will transfer to the airport and board our private charter flight to Ushuaia, Argentina. Upon arrival, we'll take a short city tour of this quaint port town before heading to the pier. Days 3 & 4: Crossing the Drake Passage The waters of the Drake Passage are unpredictable, so hope for clear skies and a calm ocean. You'll have plenty of time to gaze out at the sea, get to know your fellow shipmates and chat with your Expedition Team. Time over these two days will be spent preparing for the exciting days ahead, with numerous educational and informative lectures from your Expedition Team. 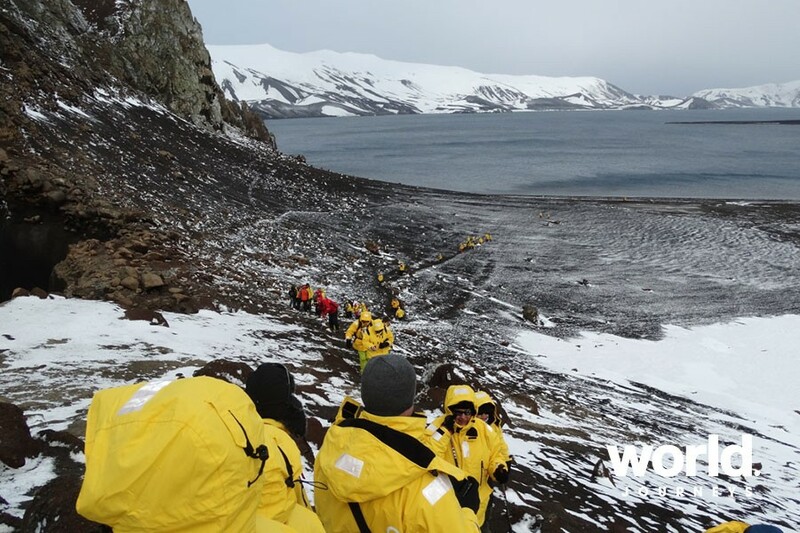 You'll learn about everything from safety procedures to the history of whaling in Antarctica. Days 5 to 7: The Antarctic Peninsula & South Shetland Islands With the Drake Passage left in our wake, we make our approach to Antarctica. 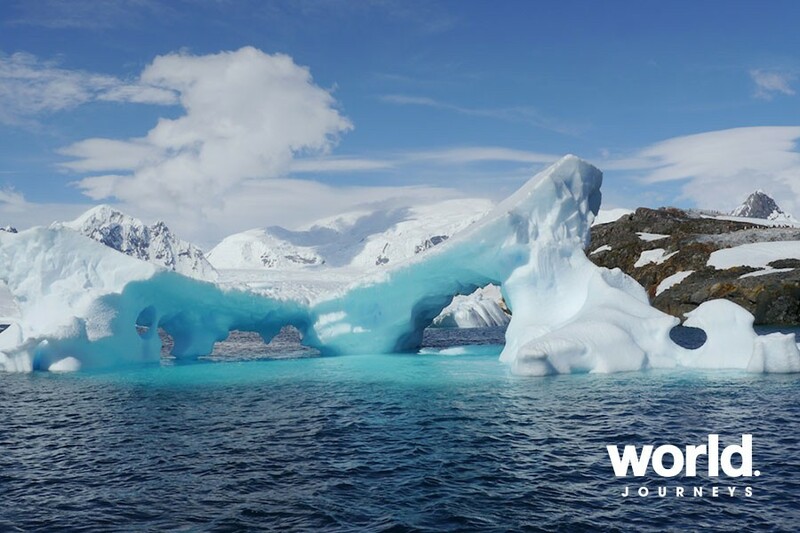 Get your cameras ready as the continent's coastline will make its first appearance, signaling the start of your adventure in the realm of the Antarctic. You'll see plentiful icebergs floating by and be fixated on the surface of the ocean as curious whales spout and breach before your eyes. As exciting as it can be from onboard the ship, your true exploration occurs when you disembark and set foot on the great continent. There are several potential landing sites we may visit, including Neko Harbour, Orne Harbour or Paradise Harbour. 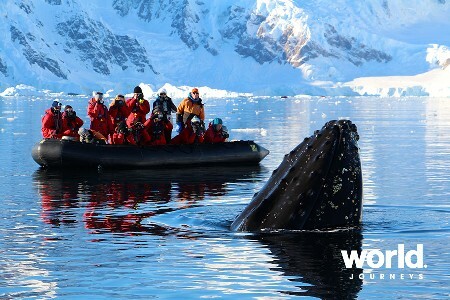 Your days will be busy spotting wildlife and being mesmerized by the beauty of Antarctica. 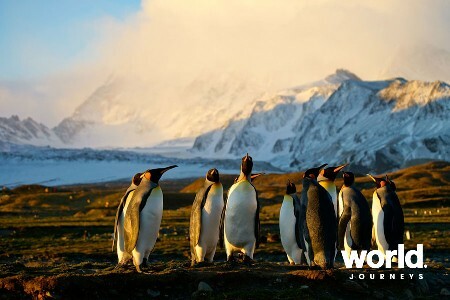 Watching penguins waddling on the beach and listening to the crackling and crumbling sounds of icebergs and glaciers will become your daily entertainment, while kayaking with whales and camping in Antarctica are a couple of optional activities available on selected voyages (at an extra cost). Days 8 & 9: The Antarctic Circle Crossing the Antarctic Circle is an impressive achievement, as most expeditions to the Peninsula do not reach this far south, which is officially noted at 66 degrees 33 S. You and your shipmates will celebrate in style with a well earned glass of champagne! Make a toast and take pride in knowing you've made it to a part of the world still visited by very few people. 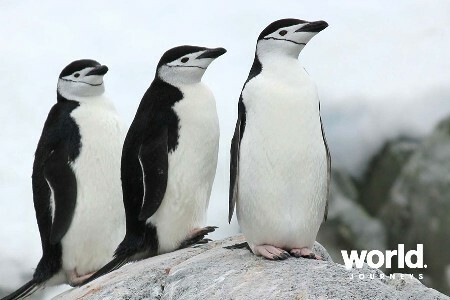 Days 10 & 11: Northbound Along the Peninsula By now, your knowledge of Adelie, chinstrap and gentoo penguins will be matched by your ability to differentiate between a leopard, fur or Weddell seal. Terms like 'bergy bits' and pancake ice will seem normal too, yet there are still many tales to be told. As you head north, Zodiac excursions will continue to fill your days, while the Expedition team will continue to offer presentations, while giving you time to reflect on everything you've experienced. Days 12 & 13: Drake Passage to Ushuaia Re-crossing the Drake, Antarctica fades away and you'll be left with a collection of memories to last a lifetime. Excited conversations with your newfound friends will make the time crossing the Drake Passage fly by, independent of weather and sea conditions. Your Expedition Team will round up their series of lectures as well, perhaps with a slideshow of some of the great landing sites and wildlife you've visited over the course of your voyage. Day 14: Disembark in Ushuaia, for charter flight back to Buenos Aires After breakfast aboard the ship, it is time to part ways and say goodbye to your Expedition Team. 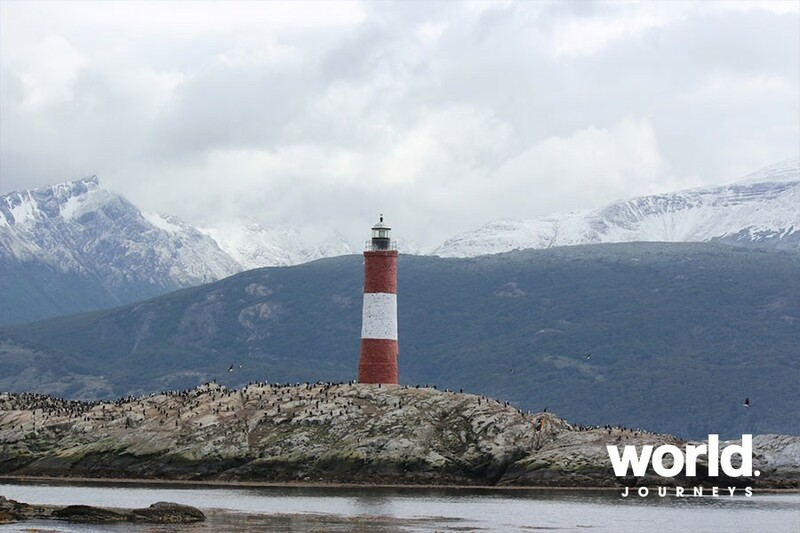 After disembarkation, you will have a little time to explore Ushuaia before we transfer to the airport for the return group charter flight to Buenos Aires. Important reminder: Embracing the unexpected is part of the legacy and excitement of expedition travel. There are no guarantees that we can achieve everything we set out to accomplish. A measure of flexibility is something all of us must bring to a voyage. 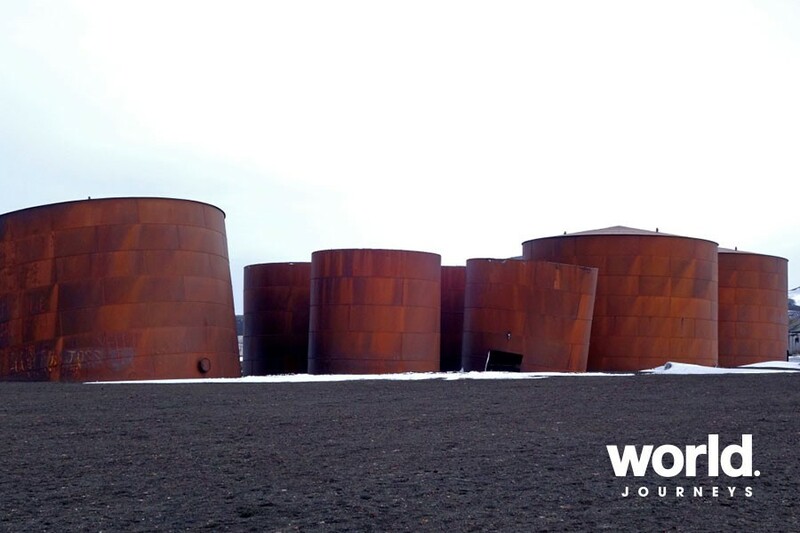 There are nearly 200 recognized sites in the Antarctic Peninsula and South Shetlands and the places mentioned above may be changed to others equally as interesting. • Shipboard accommodation with daily housekeeping • All breakfasts, lunches, dinners and snacks on board • Complimentary wine with dinner (Ocean Endeavour only) • All shore landings per the daily program • Leadership throughout the voyage by our experienced Expedition Leader • All Zodiac transfers and cruising per the daily program • Formal and informal presentations by our Expedition Team and special guests as scheduled • Photographic journal documenting the expedition • Waterproof expedition boots on loan for shore landings • An official Quark Expeditions parka to keep • Coffee, tea and cocoa available around the clock • Hair dryer and bathrobe in every cabin • Comprehensive pre-departure materials, including a map and an informative Antarctic Reader • All miscellaneous service taxes and port charges throughout the program • All luggage handling aboard ship • Emergency evacuation insurance to a maximum benefit of US$100,000 per person • Buenos Aires Flight and Transfer Package (USD$800 per person) includes: Pre expedition hotel night in Buenos Aires, with breakfast, Group transfer from the hotel to the airport in Buenos Aires, Charter flight from Buenos Aires to Ushuaia (return), Group transfer from Ushuaia airport to the ship (return). Book by 30 April 2019 to save up to 20% on specific sailings! Conditions: Valid on bookings confirmed by 30 April 2019 for this specific sailing only. Only combinable with the First Time with Quark saving of 5%. Applies to voyage fare only. Excludes Triple cabins. Subject to availability.